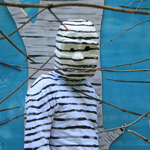 The Harvestworks Artist-in-Residence Program is pleased to announce our 2010-2011 recipients. The recipients are commissioned to create a new work in the Harvestworks Digital Media Facility. The applications were reviewed by MOMA / P.S.1 Curatorial Assistant Christopher Y. Lew, Lauren Rosati, Assistant Curator at Exit Art and Kenseth Armstead, video and installation artist. The Van Lier panelist was independent curator Nicole Caruth. New York City-based multi-media artist Jacolby Satterwhite has constructed a collaboration of at least 400 drawings for a complex virtual world. This world is used to critique the body and transform themes in heroism, science fiction, family, disco culture, and queer theory. 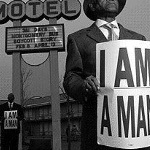 His work was performed at the Robert Melee’s Talent Show and the Movement Research Festival of 2010. In addition to a Skowhegan Residency he has a BFA from Maryland Institute College of the Arts, an MFA from U of Penn and has performed at Weerrq! PS 1 MoMa in 2010. New York- based composer and improvisor, Satoshi Takeishi, will create a multichannel audio performance piece inspired by Australian Aborigine’s paintings and David Tudor’s Rainforest IV. This project “Whirlpools” will create a sound space where the visible world and the invisible world co-exist in the same sphere. His performance will be taken place at the Roulette. 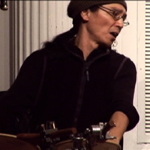 Takeishi is a native of Mito, Japan and has studied music at Berklee College of music in Boston, Massachusetts. New York- based composer and multi-media artist Woody Sullender will develop his new solo music work for a laptop-enhanced banjo to be performed on a multi-channel audio system. The music work itself will explore the timbral possibilities as well as the historical associations of the banjo. With the combination of processed and synthesized sounds, Sullender, will tentatively perform this piece at the Issue Project Room. 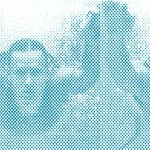 He has a Master of Fine Arts from Bard College, and has won a STIEM project residency award of Amsterdam in March 2010. New York City- based performer, composer, and visual artist Tristan Perich will explore a series of compositions for the Transit ensemble: clarinet, violin, cello, percussion, and piano. The newe work, From One explores new ways that the physical and the electronic can interact, for example, as an electronic accompaniment, as a video installation, as dance, and as visual art . 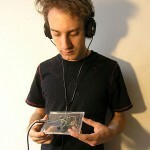 On October 14, 2010 at the Galapagos Art Space in Brooklyn, NY Perich will be performing From One. He has studied art, music and electronics at Interactive Telecommunications Program at Tisch School of the Arts at NYU. He has been recognized by WIRE Magazine and was the artist in Residence of the Philip Academy in Andover, MA. New York-based multi-media artist Bora Yoon will be developing a wireless controller created by a constellation of sensors placed on the body, processed by custom software that creates a true hybrid synthesis of movement, music, and visual art. The intent of this performance will be to build an organic bridge between the mechanical and the human. The Body Electric will be performed in Germany and Thailand in the near future. Yoon has performed for many at the Lincoln Center and the New Museum of Contemporary Art. Also, Yoon has been a part of the UNSOUND festival and the MMIX Festival of Interactive Technology. New York-based exhibition artist Lisa Kirk will create a new work called “backyard adversaries” a four- channel large- scale projection with intricate sound engineering. With its disorienting imagery, complex soundscape, and hyper- real aesthetic, the work serves as a critique of recent political events, the media coverage surrounding them, and the subliminal impact of these images and events on youths. This exhibit will be displayed at Invisible- Exports. Kirk has a Master of Fine Arts from the University of California and was born in Newport, RI. New York City-based videographer Jonathan Ehrenberg, is producing a new video project inspired by Akira Kurosawa’s Rashmon. With the help of actors, sets, and costumes Ehrenberg will portray a basic story that will unfold three times with the subjective point of view from one of the characters. He has a Master of Fine Arts from Yale University School of Art, and is an instructor at Pace University for Digital Imaging and Digital Design. Lousia Armburst is born in Ottawa, Canada. 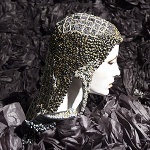 A visual artist who attended MA visual arts, Goldsmiths College, University of London, UK. A few of the exhibitions she has done are Free Range Hocky, Urban Institute of Contemporary Art Grand Rapids, MI, FIGMENT NYC, art festival, Governor’s Island, New York, NY, and 2005 Biennial Blow Out, junior: Kenny Schachter. New York City – based composer Dafna Naphtali created “Mahashefa,” a work for live audio processing and voice. She uses her laptop- based noise/audio processing “instrument” to alter the sound of her multi-octave singing, vocalisms, personalized recordings, and at times a curious accompaniment to her voice. She has earned a degree in Music Technology at NYU and is currently a Max teacher and programmer at Harvestworks since 1995. New York City- based multi- media artist Matthew Ostrowski has created a system for a glove- controlled live electronics work called “Congeries 2.” This new piece of work uses physics- based algorithmic response systems, driven by improvisational decisions. 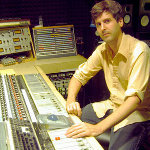 He has recieved award for the Media Alliance and a NYFA Fellowship for Computer Arts in 2001. California- based composer, performer, and sound installation artist Laetita Sonami combines text, music, and found sounds from the worlds in compositions which have been described as “performance novels.” She recorded a surround version of “A Historical Moment on a line between A and B” and performed the work at the HERE arts center for New Instruments for Improvisation and Experimental Approaches. She was born in France and has received the Alpert Award in the Arts in 2002. The 2009-10 Van Lier Fellowships were awarded to Phillip Stearns and Shana Moulton. The one-year fellowship is funded through a special grant from the New York Community Trust. Phillip Stearns is a practitioner of sonic and visual arts; music composer and performer; electronics sculptor and installation artist. He has performed, lectured, exhibited and led workshops at various festivals, conferences, museums and institutions around the world including FILE (2009), NIME (2009), Bent Festival NYC (2009), FONLAD(2009), and Transitio (2009). With the help of the Van Lier Fellowship, Mr. Stearns explores the possibilities of neural networks as the basis for his upcoming installation, Entity I. 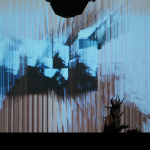 The residency also includes a series of electronic art workshops held by Mr. Stearns and structured around the concepts behind his work with neural networks. Shana Moulton creates oblique and evocative narratives in her video and performance works. Her video work has been screened and exhibited internationally, including at Art in General, New York; Migros Museum, Zurich; and Rencontres internationales Paris/Berlin, Paris. Moulton’s performances have been presented at venues including The Kitchen, New York and PERFORMA 09, New York. The Van Lier Residency supported Ms. Moulton’s evening-length music theater piece, entitled Whispering Pines 10. The work involves the use of interactive controllers, electroacoustic instrumentation, and multi-channel projection.